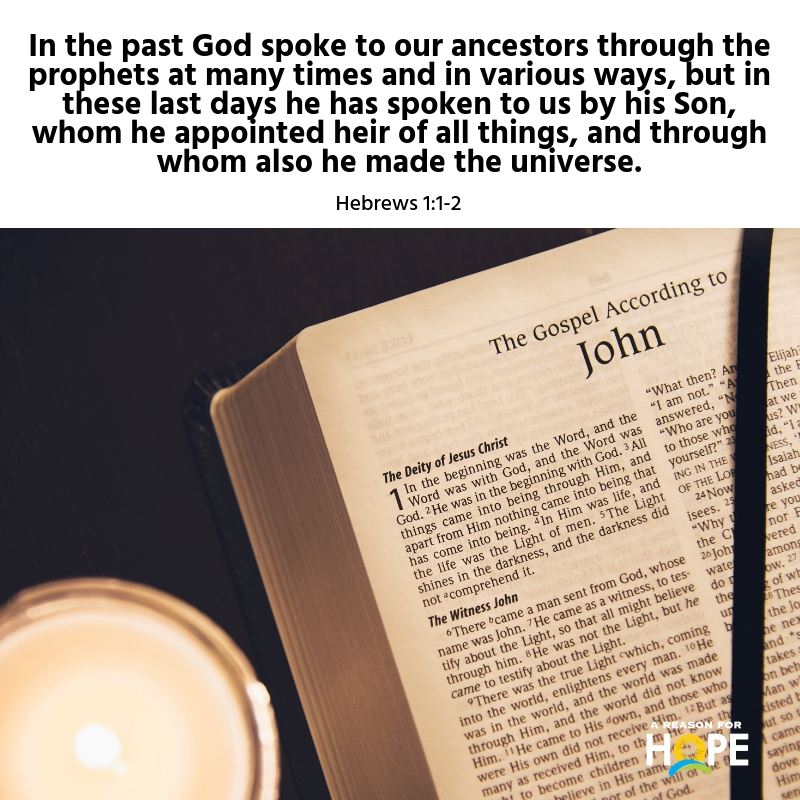 In the past God spoke to our ancestors through the prophets at many times and in various ways, but in these last days he has spoken to us by his Son, whom he appointed heir of all things, and through whom also he made the universe. - Hebrews 1:1-2. I have experienced what the inspired writer is saying here. When I read your words they speak deep, grace filled truth into my heart. They purify my motives, establish my identity, and restore my purpose. I feel closer to my heavenly Father too. I get better discernment and peace.. I can tell that I am listening to the creator of the universe in a very personal way. thank you for having your words preserved through the four Evangelists. Help me to read, learn, mark and inwardly digest your words for the rest of my journey here. If you want to hear God's voice in your soul, read the Gospels.